Like in nature, while moving the different minerals are separating and build sediments. This is because every sort of sand has got a different weight. We use light and heavy particles which separate in layers and with that generating the impression of natural formations. By using light and dark tones we get shades and can also introduce colour hues. There are many more details behind but I must refrain from a precise depiction because those details contain many years of researching work. 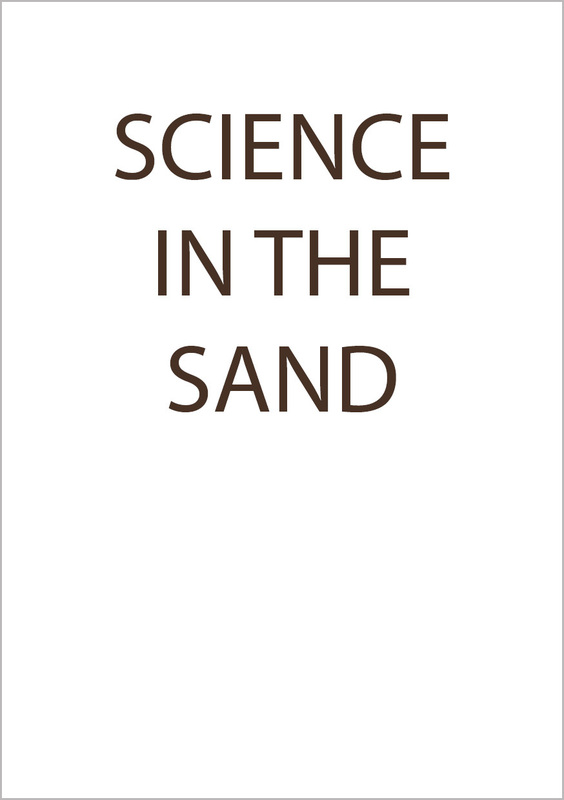 In a Sandpicture a couple of science principles are united which we provide with this pdf. With that knowledge you can use Sandpictures for object teaching. 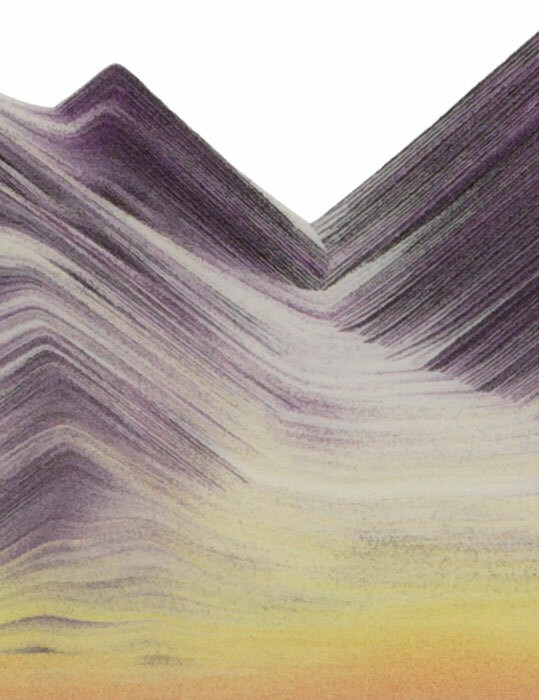 In our Sandpictures we use 4 - 6 different kinds of sand, which at a very slow movement visibly separate and furthermore like in a painting by concerted mixing create many shades which enhance the 3-D effect. We proceed natural sands, milled minerals, coloured quartz and man-made colour powders. With their different densities they never mix up completely, there will always be layers no matter how often you turn the picture. 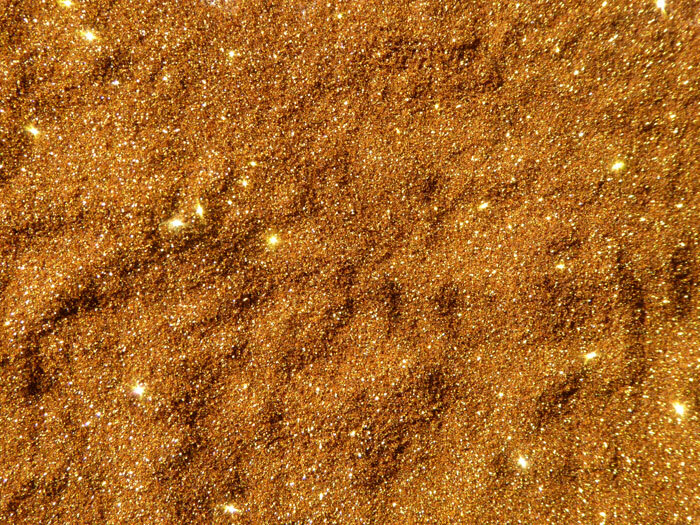 In nature sand can be found on mountain slopes, river banks, lake shores, beaches and deserts. 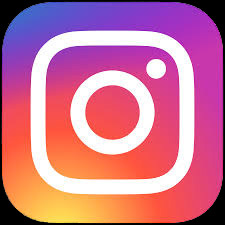 Many of those sands can be used in our Sandpictures. They need to be washed, sieved and disinfected to be qualified for the use in Sandpictures. Our eyes perceive natural sands in a certain colouration. Taking them under a microscope you will find different minerals of many shades from light to dark. Therefore natural sands are the number one for naturally beauty Sandpictures. 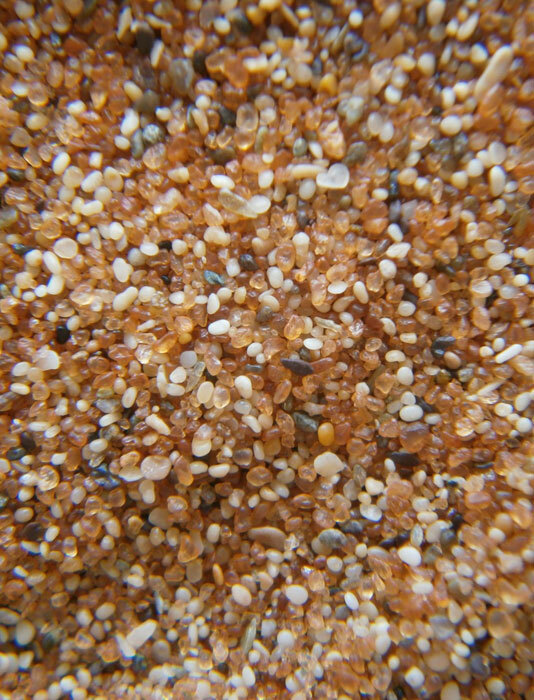 Some sorts of sand are very rare in nature or just not available in the size of grain required for the use in a Sandpicture. That's why we have minerals grind down and prepared for our use. 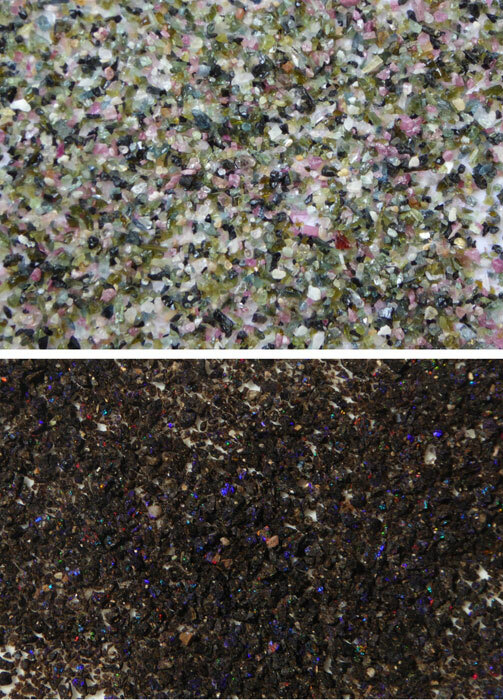 In our sand shelf you can find crystal from the Swiss alps, black opal from the Honduras, rainbow tourmaline or Australian garnet. 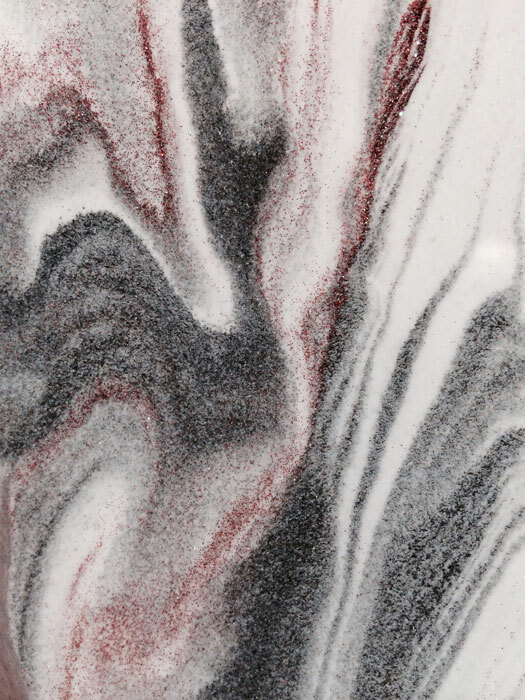 Such precious minerals are used in Sandpictures especially made for the use in therapy or for Feng Shui. Or for people who simply love minerals and want something special. When it's coming to bright and flashy colours we need to colour sand or use colour powders. Natural mica can add a decent shimmer. But when we want the look of a million stars we use glitter particles with their ability reflecting light very strong. According to that, sugar, salt or other fine granulates fitting within that scale are called sand by science meanings. 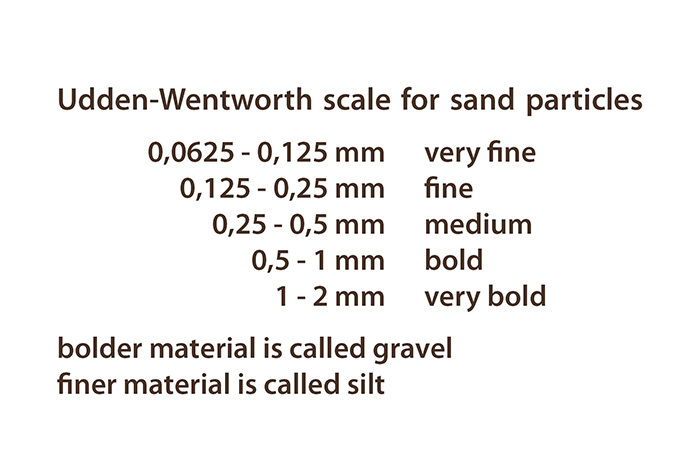 The majority of sands in nature measure 1 mm / 18 ga in diameter. The bigger part of desert sands are of that size.